Alpha Pharma Rexobol-50 Stanozolol is a bioavailable anabolic steroid originally developed for veterinary use. So, he participated in building up muscles, strengthening bones and increasing endurance levels in racing horses. Subsequently, the drug has been distributed among athletes. The effect of Stanozolol is fundamentally different than that of other steroids. It practically does not increase the mass, however, it has fat-burning properties and forms relief, enhancing the appearance of muscles. In addition, athletes and bodybuilders after the end of the course Stanozol noted an increase in strength and endurance. 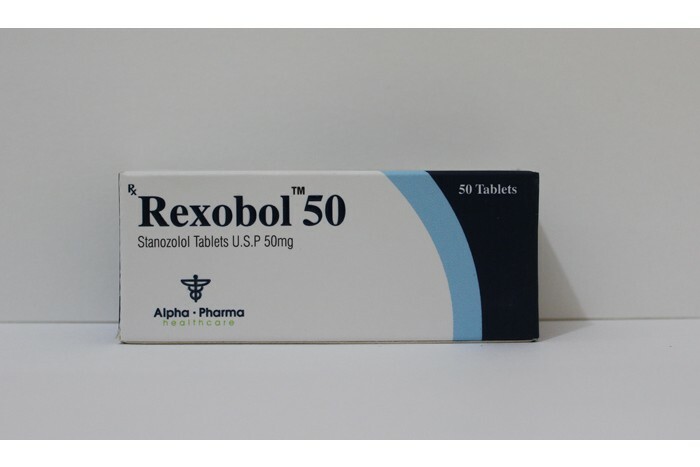 Rexobol-50 mg is available in tablet form and injections – in the latter case, it is an aqueous suspension. Permissible daily dosage is from 30 to 50 mg. For those involved in athletics, a lower dose is appropriate. Take the drug for four to six weeks, further recommended restorative therapy. In the case of an increase in the duration of taking Stanozolol, side effects associated with the joints are quite possible. To improve the effectiveness of this drug helps sports nutrition. Joint pains are considered to be a frequent occurrence when taking Rexobol-50 – they are neutralized with the help of testosterone, as well as special sports supplements for ligaments. An increase in pressure may be observed, in other patients the level of cholesterol increases, and in very high doses there is a risk of myocardial hypertrophy. In addition, in the form of a suspension, Stanozolol is not suitable for everyone, due to the soreness of the injections.